Window cleaning services have become very popular in the past 20 years and it’s popularity is rapidly growing. 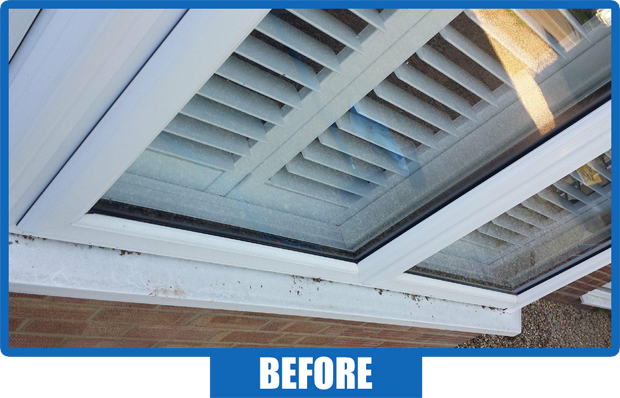 We offer affordable, swift window cleaning services in Surrey and surrounding areas. You might be wondering what pure water fed pole window cleaning is? In parts of the world as India after a monsoon has passed, the air feels fresh and clean, this is because pure water from the clouds absorbs the dust and dirt. Pure water window cleaning works in a very similar way. The water is first purified by removing all the minerals and impurities that are present in our everyday water. The water will be so pure, that it is left to dry naturally without leaving any marks behind. Pure water penetrates dirt easier and will leave your windows sparkling clean once dried. Tap water is fine to drink but if it’s used for window cleaning it leaves spots and smear because minerals are left behind on the windows after the water evaporates. But not with our purified water! We use poles made from light weight carbon fibre, these are extended to wash windows up to 35ft safely from the ground. The systems are installed into our vans to transport pure water to job sites. This system has had revolutionized the window cleaning trade making light work of a once dangerous profession. More and more window cleaners switch from traditional window cleaning to water fed cleaning because of all the benefits. There are lots of household duties you may be thinking about right now and how to best keep on top of things. One of them may be your windows and making sure they are looking their best? We offer a professional service at competitive rates, no hidden charges! We use a water fed pole cleaning system to clean your windows .This system is currently the best system on the market to clean your windows to a high standard. 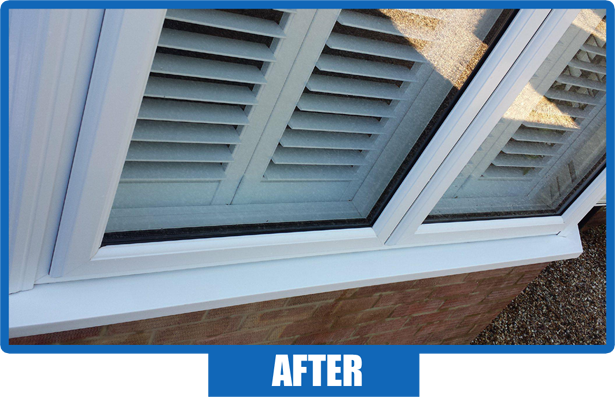 You do not need to worry about your windows being still wet after the clean because this is how it is done. Once they dry they will be sparkling clean and smear free!